Microsoft was not overly impressed with Sony's strategy. 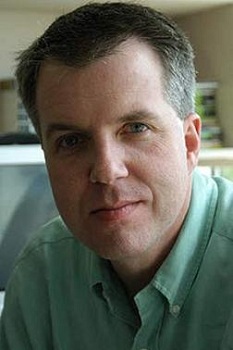 Larry Hryb, better known as Microsoft's Major Nelson, might not have his own show anymore, but he's still one of the more recognizable names associated with the Xbox brand. Like many gamers, Hryb watched the proceedings from Sony's PS4 event with great interest. As one might reasonably expect from a competitor, he was not thrilled with the results. Hryb took to Twitter for a potshot at Sony, marking one of the first official Microsoft responses to the new device. In the hours leading up to the announcement, Hryb tweeted a photo of his team's 3 PM meeting, showing that they brought popcorn to watch Sony's proceedings. When the live stream ended, he shared his thoughts. "Announce a console without actually showing a console?" tweeted Hryb. "That's one approach." There are many ways to interpret Hryb's response, from a smug statement, to a harmless industry jibe, to genuine disappointment at the lack of details, but fans won't have to wonder for long. "I'll share my thoughts on the show this weekend," Hryb promised. Microsoft may have big console plans of its own for E3 later this year, and if Hryb's comments are any indication, fans could reasonably expect to see an actual system on display. Otherwise, Sony has thrown down the gauntlet, Victorian duel style, and Microsoft is prepping a proper response. This weekend, we'll see what it has to say.